Do you set your Prices to Maximise Sales? In the last two blog posts I discussed the first five common mistakes as expounded by Dennis Brown from Atenga Inc. (www.atenga.com), a consultancy which specialises in developing price optimisation strategies for businesses. These mistakes come from their article “Ten Common Mistakes Companies Make in Pricing their Products or Services”. In my experience their comment “With the right pricing strategy, sales will increase, discount requests can be effectively deflected and lowering your price will no longer be necessary to win the business” is so very true; a formula for increased profit, which after all is why you are in business. Now onto their next three common mistakes. Mistake #6: Companies often incentivise their salespeople on revenue generated, rather than on profits. When their “job” is to get the deal, regardless of profitability, salespeople will do exactly that. And, as a result, your profitability will diminish. Companies need to redefine the salesperson’s “job” as maximizing profitability, and incentivise profitability, while also providing the salespeople the necessary “tools” to do so. These tools include information on profitability on each of the products your company sells, strict control of the awarding of discounts. One Atenga client was persuaded by its sales staff to reduce the price of its keynote component from $2400 to $1800. The staff believed – and persuaded management -that lowering the price would drive proportionately higher sales volumes. The result was catastrophic. Sales volume over the following year declined almost 40%, as customers and channel partners perceived that the lower price signalled a lower quality. That lower-quality perception prevented the company from reversing the price increase, and it was not until a new product was designed – 18 months later -and released that the company began to recapture its former price point, and sales volume. One Atenga client dominates its marketplace for a specific type of internet web services. As they prepared to move into a new market for the services, smaller competitors were already selling into it with a different form factor. Atenga research showed that the new form factor would be preferred by the entire market – including the client’s existing customers. The new entrants were financially weak, however and a low price point by the client would put pressure on the competitors that they would not be able to stand. At the end of the Atenga engagement, the client purchased one of the competitors, and went on to dominate the market in the new form factor, as well. Mistake #8: Companies spend insufficient resources managing their pricing practices. 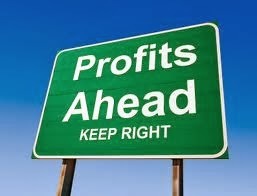 There are three basic variables in a company’s profit calculation: cost, sales volume and price. Most management teams are comfortable working on cost reduction initiatives, and they have some level of confidence in growing their sales volume. But good price setting practices is seen as a “black art.” Consequently, many companies resort to simplistic price procedures, while the same companies use highly sophisticated procedures and technologies to track and control their costs in minute detail and in real time. Likewise, companies believe they know what effect marketing campaigns and “the number of feet on the street” have on sales volume. Managers feel comfortable with these two hard data sets. Therefore, they spend nearly all their time on the issues of sales volume growth and cost control, overlooking the vital role of pricing strategy. They erroneously believe that pricing is not important, or that hard data and rigorous methods are not available to enable them to control pricing. In fact, pricing is of outmost importance, and a key element of the marketing mix. Good pricing strategies use hard data generated by modern methods such as Value Attribute Positioning, Conjoint Analysis or Van Westendorp’s Price Sensitivity Meter, to generate accurate hard data on the perceived value of a product or service, thereby enabling mangers to maximize their profits by optimizing their prices. One Atenga client managed prices by reviewing the prices of their competitors and making adjustments to their own accordingly. The primary data input to the pricing decision was the stories customers and salespeople told them about how competitors were offering lower prices. Atenga research showed that a significant segment of the customers desired a particular set of services along with the product, and that if our client, as opposed to its competition, offered those services, they would be willing to pay significantly higher prices, as their overall costs would decline. Setting price levels and strategies based on competitive information was missing important profit opportunities. Your sales team incentives should be based on maximising profits, not sales. Rightly or wrongly, price has a role in shaping people’s perceptions of quality; the lower the price, the lower the quality. Any change in your prices will cause a reaction by your competitors. Forecast their reactions, and prepare for them. This avoids costly price wars that can destroy profitability. Business spend nearly all their time on the issues of sales volume growth and cost control, overlooking the vital role of pricing strategy. 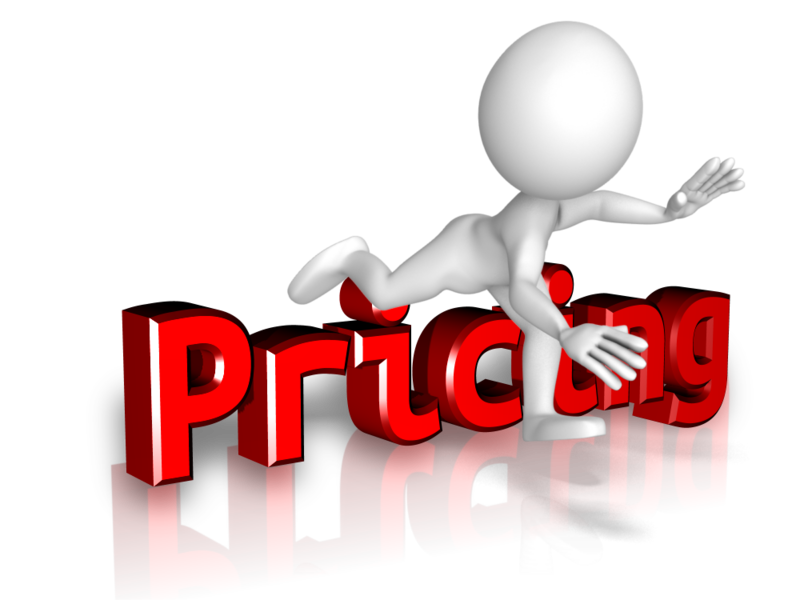 Pricing is a key element of the marketing mix. I’ll pass on the final three mistakes next week. After all, you can only make so many mistakes bwfore yoy go out of business. In the meantime, pour yourself a coffee or a cuppa and take 10 minutes to consider whether you are making any of these mistakes. You could be leaving money on the table, money which is all profit. Last week I discussed how making mistakes in pricing leaves money on the table - the paradox of pricing; Price strategy is a key resource for companies to increase their competitive advantage, yet most don’t have a strategy or process to set their prices. Nine times out of ten, business planning on pricing is dominated by the fear of losing customers if prices are raised. Yet their margins will suffer if they don’t. And I gave you the first two of ten common mistakes businesses make from an article by Dennis Brown from Atenga Inc. (www.atenga.com )- “Ten Common Mistakes Companies Make in Pricing their Products or Services”. Atenga specialises in specialises in developing price optimisation strategies for businesses. The Wall Street Journal reported on March 27 of this year how the industrial behemoth Parker had a uniform 35% gross profit objective across its 800,000 products. They were stuck in a “profit-margin rut.” A new CEO in 2002 determined to change this. The change was championed in the face of determined opposition from the division managers. “There was so much pushback,” according to the Journal, “the CEO eventually assembled a list of the 50 most commonly given reasons why the new pricing scheme would fail. If a manager came up with an argument not already on the list, then Mr. Washkewicz agreed to hear it out. Otherwise, he told them, get on board.” The company credits the new pricing program with adding $200 million to their bottom line, improving return-on invested capital from 7% to 21% and its shares have gained nearly 88%. Customer segments are differentiated by the customers’ different requirements for your product. The value proposition for any product or service is different in different market segments, and the price strategy must reflect that difference. Your price realization strategy should include options that tailor your product, packaging, delivery options, marketing message and your pricing structure to particular customer segments, in order to capture the additional value created for these segments. One Atenga client developed an innovative software product. They priced the desktop version at $79.00 per seat, a figure that “felt right” for the executive team. Sales stagnated. Atenga research showed that there were two distinct market segments: consumers and professionals. The $79.00 price was too high for the consumers who were interested in purchasing the product, and too low for the professionals. It communicated “not a serious tool” for the professionals who were interested in its value proposition. As a result of this research, the company decided to focus on the professional marketplace, and raised the price to $129.00. Sales soared. While we don’t advocate changing prices every day, the fact is that most companies fear the uproar of a price change and put it off as long as possible. Savvy companies accustom their customers and their sales forces to frequent price changes. The process of keeping customers informed of price changes can, in reality, be a component of good customer service. Marketplaces change radically in a short period of time. It is important to recognize that the value proposition of your products changes along with changes in the marketplace, and you must adjust your pricing to reflect these changes. One Atenga customer sells services to the biopharmaceutical marketplace. Over the past few years, demands for its services have increased dramatically, and the entire industry has run into limitations in the number of trained personnel to do the work, and restricted capacity in terms of the required facilities and equipment. The company has held prices constant for the past seven years, even in the face of rising costs for capable staff. Atenga research found that customers believed the company was the best “value for money” in the industry, and they could raise prices about 12% without impacting sales. The additional 12%, however, more than doubled the company’s profits in the second quarter after it was initiated. Different customers will assign different values to identical products. For any single product, profit is optimized when the price reflects the customer’s willingness to pay. Trying to impose uniform margins across your range is a sub-optimal profit policy. The value proposition for any product or service is different in different market segments, and the price strategy must reflect that difference. Tailor your product, packaging, delivery options, marketing message and your pricing structure to particular customer segments, in order to capture the additional value created for these segments. I’ll pass on another three mistakes next week. And leaving money on the table? Sometimes the most difficult subject to raise with businesses is how they set their prices and whether they could raise them. Most believe they can’t. Most don’t have a strategy or a process. And in not having either, pricing is not carried out systematically to optimise profits on a sustainable basis. Poor pricing is a classic profit leak, one way or another it leaves your money on the table, money which would go straight through to your bottom line. I’ve written many times on this subject. For that reason, I welcomed a recent opportunity to exchange comments with Dennis Brown who was good enough to offer some kind words about my scribblings. Dennis is from Atenga Inc. (www.atenga.com), a consultancy which specialises in developing price optimisation strategies for businesses. He was kind enough to offer an article, “Ten Common Mistakes Companies Make in Pricing their Products or Services”. In this, and the next two blogs, I’ll cover all ten common mistakes. You might find a different perspective useful in considering your own pricing policies and processes, and I’m sure you will be nodding in agreement when you read some of these mistakes. Price strategy is emerging as the most important resource for companies to increase their competitive advantage. The vast majority of companies have spent years achieving gains through cost cutting, outsourcing, process re-engineering and the adoption of innovative technologies. However, the incremental benefits from these important activities are diminishing, and companies need to look at other areas to improve their business results. Today, companies are looking to serve well-defined market segments with specialized products, messages, product variants and services, and to earn superior profit margins while doing so. Savvy companies are implementing price optimization schemes and focusing on building their organization to serve their most profitable customers. Many are even “firing” customers who are unprofitable. All too many companies use simplistic pricing processes and cannot even identify their most profitable customers or customer segments. This lack of information means that all too many management teams have their sales staff focusing the bulk of their time servicing the least profitable of their customers. Some companies even embrace policies and pricing strategies that drive away their best customers, and then they wonder why their profits are not growing. In the course of our engagements, we have seen examples of good and bad pricing policies. The following is a list of ten of the most common mistakes companies make when pricing their products and services. (2) If the price is lower than the customers’ perceived value, sales are brisk, but companies are leaving money on the table, and therefore are not maximizing their profit. However, when a price is set according to the perceived value of the product or service, sales are brisk, and profits are maximized. One Atenga client manufactures audio components. Across their product line, they set prices according to a multiple of the parts cost. When the market for high-end audio components boomed, the company did well enough. But as competition began to increase, sales stagnated and profits evaporated. Our research showed that particular products were perceived by certain segments of the marketplace as “priced too low.” Repricing of those products created enough additional revenue to pay for the launch and marketing of a new line of products and restored the company’s leadership position in its niche of the industry. The marketplace is often cited as the “wisdom of the crowds,” the collective judgment of the value of a product. But by resorting to “marketplace pricing,” companies accept the commoditization of their product or service. Marketplace pricing is a resting place for companies that have given up, and where profits end up being razor thin. Instead of giving up, these management teams must find ways to differentiate their products or services so as to create additional value for specific market segments. The marketplace is full of companies that have managed to drag themselves out of commoditization and establish a unique value proposition. The best-known case of reverse commoditization is Starbucks. By rethinking the entire experience consumers of coffee engage when they consume a cup, the company has produced prodigious growth and outsized profits. A Starbucks cup of coffee delivers a unique value proposition that engages millions of consumers daily (including this author! ), and they happily pay $3.00 to $4.95 for what used to be a ninety-nine cent cup of coffee. Thanks Dennis – more pricing mistakes to avoid next week. Will you be Road-Kill on the Business Road? You probably know the statistic; something like two-thirds of businesses fail in the first three years, a horrible statistic that rises to around 80% by five years. Why is it so? I’ve touched on this question from a number of angles but there’s always another, useful perspective from which we can learn something to keep improving our businesses, their cash flow, and profitability. 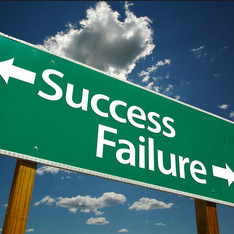 Is there a ‘right way’ to run a business? One thing is for sure, run a business the wrong way, and you’ll end up as one of those statistics – road-kill on the business road. So I talked to Martin Sargent from The Business Group to discuss this conundrum. For those of you who don’t know Martin, he has been a business consultant in the New Zealand scene for the past 15 years. He gets his daily fix of excitement by working alongside business owners to achieve their true potential. With vast experience both at the corporate level and in the small to medium business environment, Martin and his team have developed their own unique solutions covering planning, marketing (including online and social media) and money management to help business owners achieve their dreams. Martin was keen to share one of those solutions with you - "How to do Business, the right way…” He touched on the eight elements he sees as critical in doing business the right way. 1. Why did you get into business as a business consultant? 2. What do you see as the major hurdle business owners face? 3. What are the 8 critical elements of the business jigsaw you refer to? 4. What is one thing you would like to leave your listeners with? There are sources of advice beyond the usual that people suggest by rote; accountant, bank manager and so on. Small and medium enterprises make up a very large part of our economy, and their owners have a lot of issues that don’t slot into the traditional pigeon holes. One large hurdle that must be cleared is the trap of treating the business as a job, and not a business. That is why it is so important to go into your business with a plan – plan your entry into the business, plan how you will operate, and, just as importantly, plan your exit. You need to be aware of each part of your business, and how it will operate in the plan. 7. Having the right processes and procedures, and that starts with actually documenting them. If there is one key issue, it is PLAN. It doesn’t matter how your plan looks, but write it down, get it down. Make yourself accountable for what you say you will do. That is - IMPLEMENT. Most plans fail because they aren’t actually implemented. If it does, it could be costing you a lot! Looking at the results more specifically, lost sales opportunities, poor project profitability, and low staff utilisation were all among the top areas of profit loss, but some 32% of respondents had no idea where the leaks were occurring. Of those surveyed, 63% believed that the percentage of profits leaking could be anywhere between 0% - 20%. At the upper end of the scale that is a lot of money. It would have a deleterious impact on your bank balance. I say ‘your bank balance’ because I’m sure there is a question in your mind as to whether this applies to you. After all the companies surveyed were largely not small businesses, and they were UK based. Based on my experience I think they do. Some years ago I summarised my findings from all the small businesses I had reviewed, diagnosed, and helped improve their business; helping them find and plug their profit leaks. Sales and marketing – most were very bad at marketing. They had no formal or planned marketing strategy and had no sales training. This is not surprising, as they had usually established their business on their technical or trades skills. They rarely had information on the sales and, more importantly, profitability of their key market segments, or the products and services sold to those groups. Nor did they have information on their promotional programs – the leads generated, the conversions from those leads, the cost per customer acquisition; what works and what doesn’t. Operations – despite those technical skills there were often profit leaks on individual jobs or projects, or in specific aspects of their business. The case study on the Profits Leak Detective home page is a typical example of a business that did its jobs well, but lost money on many. There have been many other such examples. Again, the underlying problem has always been lack of management information on what was happening operationally. Once the information was available the solution was obvious. Administration – unlike the Access survey, finance has rarely been a problem. Small businesses tend to be run as a fairly right ship. But the administrative systems and procedures to support the business were rarely available. Equally rare were Management Information Systems (MIS) to provide the week-to-week and end of month information and reporting necessary to run the business. Regular reporting and review was noticeable by its scarcity. Those Access Group findings are likely to apply to you. There is a pretty good chance that you have a profit leak, and that you may not know where it is coming from, or how significant it is. The solution is simple, as the Access Group suggests: have the right information available, and the reporting tools to ensure it is not just available, but is utilised. Then you will have no need of excuses, and be much more profitable. For more than 28 years I’ve been helping small business owners plug the profit leaks in their business, giving them back control of their business, and restoring their cash. 88% of businesses have one! It was the travails of a new client who definitely has a hole in their bucket that lead me to revisit a blog and, more importantly, the research behind it, that I wrote some time ago. The blog was “There’s an 88% chance there’s a hole in your bucket”. 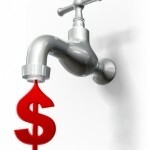 In it I discussed a survey that found there 88% of the businesses surveyed knew they had a profit leak. I find that figure quite remarkable. Turn it around. What would a new product or service which added up to 20% to your bottom line, rather than took it away, do for you? In looking at the findings, I’ll also highlight what the survey found to be the secret to avoiding this situation. The question is, of course, whether the findings apply to you? I’ll comment on them and discuss their applicability to small business based on my experience with small and medium businesses in Australia. In the first half of 2010, The Access Group surveyed 169 businesses in the UK. The organisations surveyed were across a range of industries from manufacturing through to professional services. Turnovers ranged from less than $1 million to more the $20 million, with the majority turning over more than $10 million. 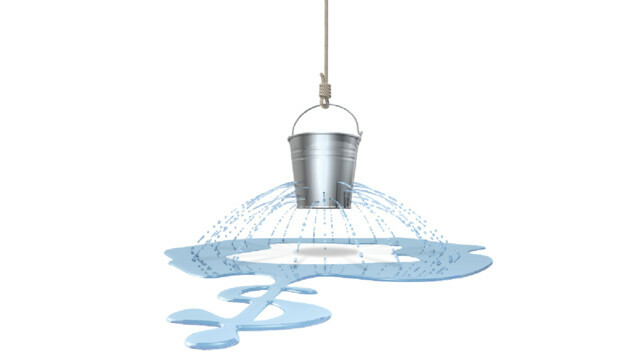 Access believe it is no secret that every organisation has profit leaks, but identifying where these leaks are happening is a huge challenge. The most common problem for companies is the lack of timely data on which to analyse operational effectiveness due to disjointed systems and mismatched KPI’s across the business. Overall, 88% of respondents surveyed acknowledged that they have profit leaks within their organisation. One respondent suggested that because of the prevalence of this problem it’s no longer acceptable to try to trade out of trouble. Profit losses need to be dealt with head-on if businesses want to survive and prosper during this period of continued economic instability. As an example of the impact, a business turning over $1 million that is leaking 10% of an estimated $75,000 in profits would be losing $7,500 a year in profits. That might not sound much, but if your net profit margin were 7.5%, you would have to generate an additional $100,000 a year in sales to recover those profits. The benefits of plugging those leaks are too great to be ignored. • 72% of respondents believed that operations leaked the most profits, 56% felt sales and marketing were the main culprits whereas 31% felt finance was the biggest source of loss. Looking at the results more specifically, lost sales opportunities, poor project profitability, and low staff utilisation were all among the top areas of profit lost. The survey results highlighted that respondents clearly felt that having the right information to hand would have the greatest impact on reducing profit leaks, with 51% pinpointing reporting as the main focus of review and improvement. Indeed, when compared to what measures the respondents ‘could’ put in place to prevent profit leaks, 63% of all respondents said that better reporting tools, alongside greater visibility across the organisation (56%) were the top two measures. This would indicate that even those that didn’t know where the profit leaks were in the organisation were mindful of the fact that reporting and accessibility of information are essential to stemming losses. Next week I’ll look at whether this applies to you. Have you thought about the business of business? And have you thought about the difference between owning a job, and owning a business? How do you make that shift from being an employee in the business, that is, doing what the business does, to being a business owner? Do you get up each morning, and hope for the best, or do you have a plan and a structure to which you are working. One test is the tropical island scenario; if you went and holidayed on a tropical island for three months, or perhaps six months, would you have a business to come back to? If you want the latter, one that will not just survive, but grow, can you identify the key ingredients to do so? Why is it so, and what can you do about it? As always, I go to an expert who can give you, and me, some guidance and advice. I recently interviewed Ben Fewtrell from Action Coach ANZ to discuss this very question; “How to build a business that works without you?” And here is why I sought out Ben! Ben started his first business at the age of 18, by the age of 28 he had built and sold his transport company to pursue his love, the business of business. He now co-owns the largest and most successful business coaching firm in Australia and New Zealand and has personally coached and worked with thousands of businesses in dozens of industries. With his specialty in Sales and Marketing Ben's clients experienced solid increases in their sales almost instantly. A passionate business builder, Ben is a regular contributor to several business publications, magazines and newspapers and was featured in Dale Beaumont's best seller 'Secrets of Top Business Builders Exposed', has appeared as a guest on SKY Business and 2GB, is a regular co-host on Alive FM's business clinic and you can tune into his weekly Business Podcast Show 'Business Brain Food' available in iTunes, where Ben talks to the world’s leading experts on how you can build a better business. As a keynote speaker, Ben has travelled the globe and has been described as passionate and funny, described as an 'Edutainer', delivering a fun yet extremely educational and helpful presentation leaving your audience motivated and energised. He is also a Director of the SME Association of Australia. 1. What are the three keys to a business that operates without its owner? 2. Why do you think 80% of new businesses fail in the first 5 years? 3. How does someone need to think to be able to run a business that doesn’t need them anymore? 4. Are there set structures or business building formulas people should learn? 5. Why should someone have a business coach? So build a team you can trust, equip them with good systems, develop the mindset to think as a business owner, not as an employee, and have a plan and a structure to which you are working. And find someone, experienced, knowledgeable, who could prevent you making the mistakes most novices in business make? Knowing what your customers want, and what keeps them happy leads to increased sales, and increased profits. 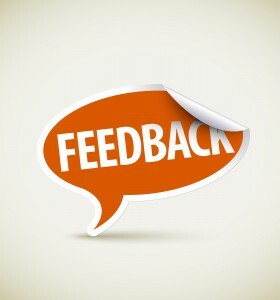 As I discussed last week, getting customer feedback can be incredibly important for your business. And I gave four good reasons for doing so. So, how do you get it? Ask them of course, and here are three types of surveys you can use, plus some useful tips on writing a customer survey, and a comment on which survey media to use. Of course much will depend on the nature of your business, the offering you make and whether you have many customers or a few clients. But either way, the old saying that without measurement there can be no improvement applies. This is the type of thing I do before starting a business plan. I survey my client’s customers to uncover information about a range of factors which ultimately impact on the business’s direction and strategies. It is often best undertaken by an outsider to get ‘free and frank’ responses. People are sometimes hesitant to tell a business directly what they think. I use a mixture of open-ended and multiple choice questions. Usually I leave price until after I have explored and identified the key elements of service delivery for that particular product or services. Price is rarely the key factor. And I always use a ‘fun’ question to draw out any issues the other questions haven’t established. Special purpose surveys are also used for a variety of purposes such as testing whether there is a market for a product, developing a marketing campaign, determining opportunities for improvement – the list is endless. You may choose to do regular surveys such as an annual, 6 monthly or quarterly surveys. One of the key benefits of regular surveys is that they also allow you to pick up trends that you can act on before a particular issue becomes critical. Some service providers do random surveys after service delivery. The response rate may be low but where there are a large number of customers even a low response rate can give a statistically significant response providing you useful information. “ Writing a satisfaction survey can be tricky, but it's of paramount importance to your business or organisation to understand how satisfied customers are with your service. Here are a few tips for writing a customer satisfaction survey. Start with the end in mind. Make sure you understand why you're writing and creating a customer survey and what you're going to do with the results. How are you going to change your processes as a result of these customer satisfaction survey results? Do not be biased in your question writing. Don't assume that customers love your products or hate your products. Try to gather satisfaction information without leading the customers either way. Gather demographic information within your customer survey to help segment your data during the analysis. You can easily gather zip code or state information, for example, so you can see if only Californians are happy with your service. Open ended questions (text boxes) are crucial for understanding the satisfaction of customers. For instance, if customers are unhappy with a particular aspect of your service or product, you can ask them to expand on why they are unhappy. 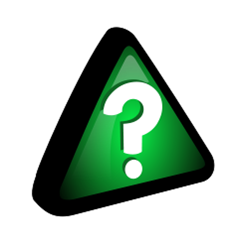 Be aware that too many open ended questions can wear down a participant and lead to skipped answers (or worse, incomplete surveys) - it's a delicate balance. Again much will depend on the nature and frequency of the survey. Detailed surveys are usually undertaken by telephone or face-to-face. Because of the time involved such methods can be expensive. Written surveys can reach a much wider base. They may be posted or emailed. Because of the low response rate businesses sometimes offer a reward or inducement to complete the survey. Increasingly online survey tools such as provided by Survey Monkey and Dolphin Software allow you to quickly create and publish online surveys in minutes, and view results graphically and in real time. You can’t assume you know what your customers are thinking. Getting feedback from your customers helps you build a more profitable and sustainable business. Just as lack of information on where the profits in your business are made, lack of knowledge of what your customers are thinking about your business, your products and services holds you back from making the right decisions. If you would like to discuss how you could obtain that feedback, and use it to generate a continuous stream of profitable customers, keep those customers and minimise customer churn, contact me. There’s no cost for a consultation. It is my gift to you. Marketing is really pretty simple. Just find out what people want, and give it to them. Or so said marketer Daniel Levis. You will sell more if you offer what people are after. And customers will keep coming back if they are happy with your products and services, and how they are provided. Ken Blanchard called it “creating Raving fans”. But how do you know what your customers want, and what keeps them happy? How do you even know what your customers like or dislike about your offering? The answer might seem pretty obvious - ask them. Asking your customers for feedback can provide extremely valuable insight for your business and offerings, a different view of your business than you see from the inside. A key input into the planning process whenever I do a business plan for a business is a customer survey. We seek responses on key service issues, the benefits sought, the things the business does well, and doesn’t do well, its strengths and weaknesses. The survey always adds value to the planning process, and frequently uncovers a key factor on which to build the plan. Similarly, after every small business workshop I run I ask participants to fill out an Evaluation Form before they leave, looking for feedback on the workshop, its presentation and content. Here are four reasons you should ask for customer feedback. 1) Learn what your customers like and don’t like. It may be your offering itself and how well it meets their needs, or how you provide it, or your after sales service. Solid information, unlike opinions and guesses is extremely useful. Knowing what benefits they seek enables you to make changes to your offering and how you present and deliver it. Early in my consulting career a Director of a client company suggested they didn’t need to do a customer survey. He ‘knew’ what their clients thought and wanted. Needless to say, when we did the survey, he didn’t. And that caused things to change. Another learnt the critical importance of on-time delivery. They knew it was important, but not that it was critical. The business plan was then built around determining what on-time delivery was to the customer, and how to ensure it was met. They became a very profitable business. 2) Make customers feel important and involved. By asking for your customers to for their views, you’re telling them that you value their opinion. Your customers feel important because you’re treating them as such and when they see changes as a result of that consultation they feel involved in improving your business. You are building a relationship, and businesses thrive on relationships. 3) Continuous improvement. I’m a big fan on continuous, incremental improvement. The 80/20 rule applies as much to continuous improvement as it does to sales; 80% of the problems will come from 20% of the causes. Customer input is a key ingredient in identifying where improvements need to be targeted. If you’re consistently listening and seeking feedback, you always have a finger on the pulse of what’s working for your customers and what is not, so you can continually improve your products or services. 4) Testimonials – the responses customers provide can be valuable testimonials to be used on your website and in your marketing materials. Knowing who your customer is, what they want and providing it is the key to consistent income. There’s a lot to be gained from getting customer feedback and absolutely nothing to lose. All you have to do is ask! Remember that people rarely praise, but often complain. Asking customers for feedback provides the opportunity to improve your business and its offering, and eliminate the weak spots that lead to complaints. A happy customer will help you generate the publicity for your product! Next week I’ll look at how you ask them, and some of the options you may have. If so, how do you keep it? 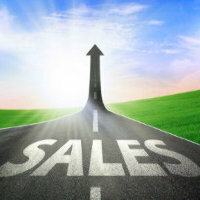 Business begins with the sale, and without continuing sales you don’t have a business. Without sales you won’t have the cash flow to pay for everything else, including all that you do well. That’s all very well, and it’s easy to say. But as a small business owner, you know there’s more to it than that. There are a couple of issues to consider, let’s make that three. • How do you get those sales? • How do you keep that customer? • What about customer churn? How do you get those sales? Why should a potential customer choose you? We all make claims about our business. You see the same words endlessly rolling out in advertisements, letters and proposals. People talk about the uniqueness of their products or services, their quality, the level of customer service and on and on. Now here is a little test you can apply to your promotion. Take your major competitor’s name and substitute it for yours in your promotion. Is it just as believable? Could your claim be said about them? After all, if they are your major competitor they must be doing something right. You need to be seen as more than interchangeable with your competitors. You need to be seen as both different and better. Word of Mouth (WOM) can help get sales. Many, if not most, small businesses place an inordinate faith in word-of-mouth to keep customers coming through the door. Word of mouth advertising is by far the most powerful tool in terms of generating new leads and sales. Personal endorsements hold great value. The main issue, in my opinion, with word of mouth advertising is the lack of consistency. Friends, family members, and business associates connect with others when, where, with whom and how they want to, not necessarily when you want them to. While WOM is always important small business owners don't understand how they can enhance their customer flow through a well thought out and timed marketing strategy. Getting small business owners to think about marketing I have found to be even more difficult than getting them to think about understanding their finances. It takes time. Let’s tie those two skills together. Who are your key customers? Where do you make your money and from which customers? Key customers are those customers in market niches which provide the majority of your profits. Remember the 80/20 rule. You will win 80% of your profits (and sales) from 20% of your customers. They will be buying from you more frequently and in larger amounts than other customers. They do so because you meet their needs; solve whatever business, personal, emotional problems they have. They trust you, and believe they have developed a relationship with you. I usually start with asking my clients to modify their accounts to show their Sales and Gross Profits by product/service group (it is amazing how many don't have this basic information) AND by customer segment. Once they have that information I find it easier to get people to focus on how to increase sales and profits from the product/service groups and customer segments that make them the most money. Then they can think about the message (the value) they need to give those customers about their products and services, and how they can best reach them (media). If people don’t know what you offer or can’t find you they can’t do business with you. It is a little like winking at a girl in the dark – you know what you are doing but nobody else does. How do you keep that customer? Many small businesses do what they do, well, a good job. Otherwise they wouldn’t still be in business. Now I know, and you know, there are others who don’t but neither you nor I are concerned about them. Doing what you do well is obviously important, and that includes not just the product if you make or sell something, it includes the service that goes with it. 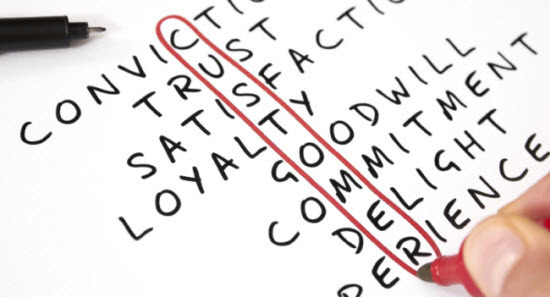 To keep those key customers, you need to look after them, and build an enduring relationship. Being a great provider or whatever it is you offer, is incredibly important. But it only becomes more important after you make the sale. The only element that's going to determine how many you get to provide to is your marketing skill. That's why marketing plays such a primary role in pretty much everything that we do. Even then, you will always lose some. You know that you make more money from your current customers than from new customers, but customer churn is a reality. You will always lose customers for one reason or another. They move on, go out of business, get bought out, change management. It happens. That’s why you need more than your key customers; you need a continuous stream of new customers coming through the door. The typical small business owner started their business because they are good at what they do, that is, their technical skills. So they see operations (doing) as the most important thing, rather than creating a continuous stream of customers. In fact, they think running a business is about ‘doing’ rather than gaining customers for what they do. This comes back to the first point. To have a business, you have to make a sale, and keep making them. Those helping you gain those technical skills would have concentrated on the technicalities, not on how to gain customers for them. How do you keep those customers coming though the door? There's an old saying that a person who chooses to represent themselves in court, has afool for client. If you would like to discuss how you could generate a continuous stream of profitable customers, keep those customers and minimise customer churn, contact me. There’s no cost for a consultation. It is my gift to you.